Apple will not be moving away from its proprietary Lightning connector for its upcoming iPhones. Macotakara reported that even though the company offers USB-C for its iPad Pro 2018, iPhones will stick to Lighting cables. The upcoming iPhones will stick to the 5W USB-A power brick for charging purposes. One of the most heavily circulated rumors about this year’s Apple devices was the exclusion of the Lightning port. It was reported that Apple would be moving on to USB-C for its iPad and iPhone lineup from 2019. However, a trusted industry insider stated that Apple will be sticking to USB-C for now. Macotakara is known for its insider connections to Apple’s Asian supply chain and accessory manufacturers. They have been known for their accurate reports about the tech giant’s hardware and the latest report from Macotakara states that the new iPhone and iPad devices this year will use Lightning ports. If you want to use USB-C technology, you will need to buy a USB-C to Lightning cable that supports Power delivery in case you want to fast charge your iPhone. All iPhone devices that came out since 2017 starting with the iPhone 8 have offered fast charging, but the hardware needed to top up the devices quickly have not been available out of the box. Apple is known for its closed environment, and it would not come as a major surprise that if the tech giant opted not to adopt USB-C. While the iPad Pro did switch over to USB-C, it is marketed as a device that seeks to replace your standard laptop. Moreover, the iPad Pro is capable of using a number of USB-C devices that you would use on a day to day laptops. The company offering USB-C on its flagship tablet does not mean that it will adopt the technology for its iPhones. One of the biggest issues with moving to USB-C for Apple would be its accessory portfolio. The company is known for its wide variety of accessories developed by third-parties. New iPhone devices moving away from the Lighting port would thin down available options when it comes to accessories for a considerable amount of time. 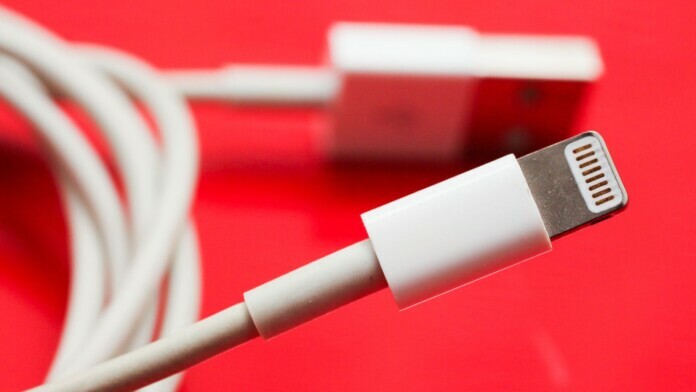 What do you think about Apple sticking with the Lightning cable for its iPhone lineup? Let us know in the comments below. Also, join us on our TechNadu’s Twitter handle and Facebook page for instant updates.